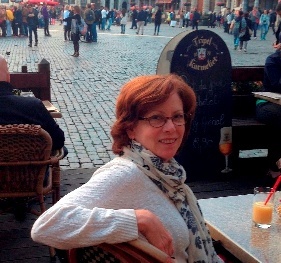 Nancy Hallberg was first diagnosed 16 years ago with indolent non-Hodgkin lymphoma before LLS-funded research helped develop the drug that put her into remission – or as close to it as she’ll ever get. She is now the chief marketing officer for The Leukemia & Lymphoma Society. This blog is the second in a series. I’m in the second-opinion hematologist’s waiting room, wondering why I’m only seeing doctors who specialize in blood. I’ve got cancer, not anemia. Looking back on that initial visit, I’m embarrassed at my younger untutored self. I know now that my non-Hodgkin lymphoma(NHL) – and the 80 or so variations, and Hodgkin disease, plus all the varieties of leukemia, and several other afflictions – is a blood cancer. And it turns out that in the world of cancer, that qualifies as good news. Blood cancers are more accessible for researchers than many other cancers. Drawing blood for samples and follow up is much easier than doing biopsies of solid tumors. Advances in understanding and treating blood cancers are leading the progress toward cures not just for blood cancers, but are showing promise for other cancers as well. In fact, in the past 10 years, 40% of all the new cancer drugs approved by the FDA have been for blood cancers. I know that now, but I didn’t then. I was just terrified. I find a lump in my groin. On the left side. It doesn’t hurt or look red or feel warm. It is just there. One week, two weeks, a month. It doesn’t go away. Okay, good answer. Phew. I won’t worry. Yet. 3 months later and it’s somewhere between a golf ball and a tennis ball – unmistakably a lump that doesn’t belong there. It still doesn’t hurt, but I can see it protruding when I look down at my toes, and know that’s not right. Time to worry. 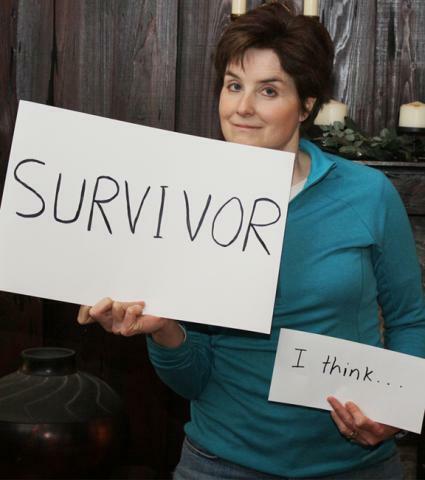 Eight Years and Counting: "The Gray Zone"
Lynne Smith is a CML survivor, LLS blogger and former journalist who is thankful for every post-diagnosis day. This blog is the third in a series. If you want to get technical, I have cancer. At least I think I do. I was diagnosed eight years ago with chronic myeloid leukemia (CML) and while there are no longer any signs of disease in my bone marrow, this is a condition that never really goes away. The cancer-causing enzymes keep firing and my daily Gleevec pills continue pummeling them into submission. I like to think of myself as a cancer survivor, but dare I be so cocky? Not only do I not want to tempt fate, but it feels a bit like I’m staking claim to a territory I’m not fully entitled to. After all, I didn’t go through bouts of chemotherapy and extensive hospital visits, lose my hair, and give up months (or years) of my life. All I did was start taking a pill once a day and master the art of living in a suspended state of disbelief. Since my diagnosis in 2006, I’ve slowly moved out of the “Oh my God!” phase and settled into a mindset more along the lines of Doris Day’s: “Que Sera Sera.” The world does look a little scarier from where I stand but I try to accept the fact that there’s not a whole lot I can do about it. I tell myself every day that things could be a whole lot worse.